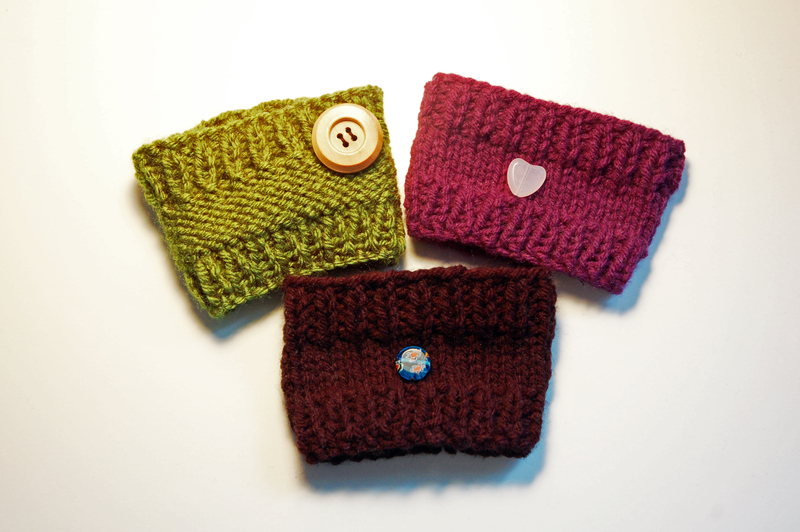 As a part of my journey to live a vintage inspired lifestyle, I have been working on improving my knitting skills. I’m not going to pretend to be an expert by any means, but the more that I practice my knitting with small projects, the easier it gets. 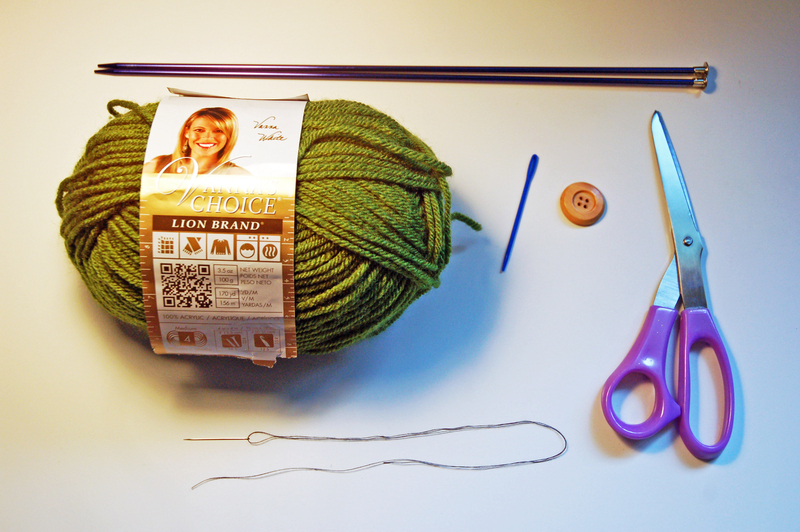 I see knitting as an important part of what “vintage” means: the ability to create practical items for everyday life that you did not buy from a store. One of my favourite patterns that I adapted from Canadian Living is not only a very easy project, but is also practical and eco-friendly. 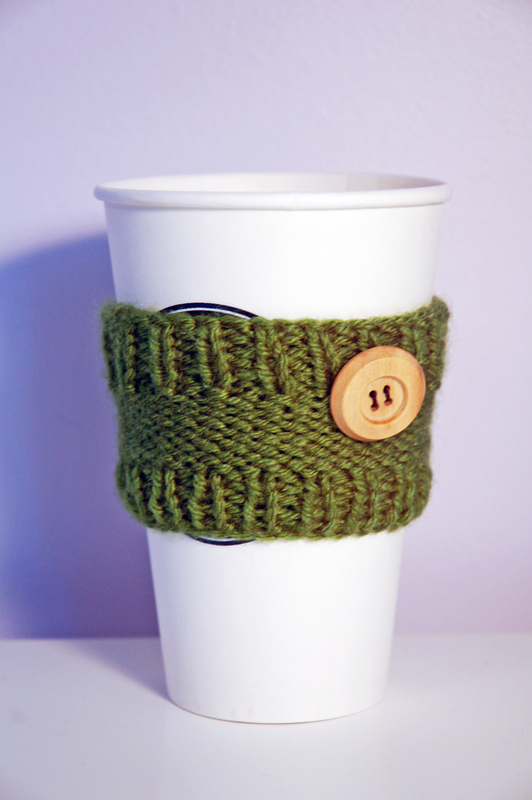 For a frequent coffee or tea drinker, coffee sleeves are items that are used once and then thrown away. In some cases you might go through one (or more) every day, creating a large amount of waste that could be prevented. With a reusable coffee sleeve, you can eliminate this waste (and make your cup of coffee look cute). 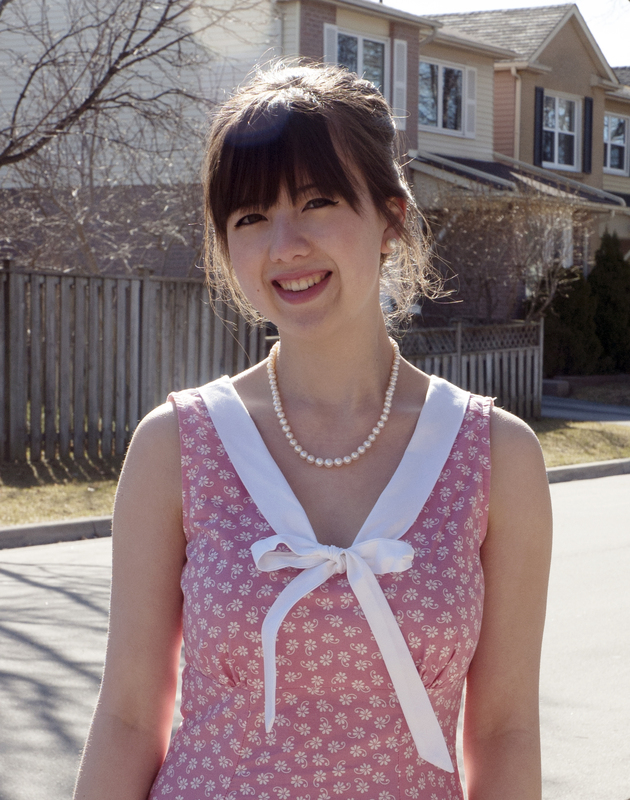 My Name is Alina, and I’m a Vintage Girl! Hi there! Welcome to Vintage Girl Charm! This is a place for all pretty things from the past and all of the things I love. Join me as I learn to live life the good old fashioned way!